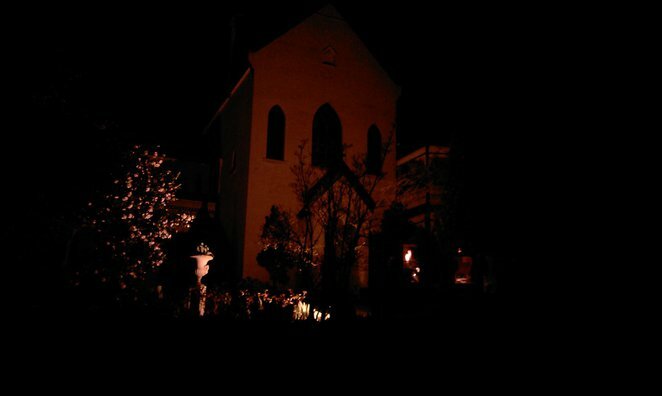 This ghost tour of Daylesford Convent offers wine on arrival and coffee at the end of the tour. I think it should be the other way around because after this tour you are going to need a stiff drink. 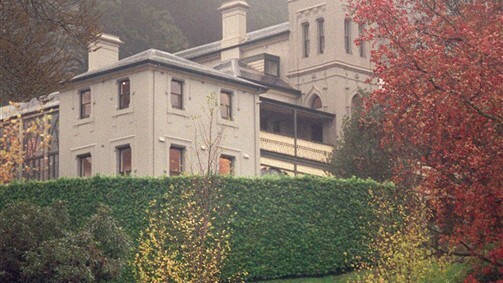 The haunted convent is the silent keeper of much of Daylesford's history. It was first built as a mansion for the gold commissioner in the 1860s and then known as Blarney's Castle. It was built on a hill with spectacular views overlooking the township and beyond. 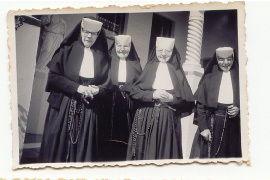 But twenty years later it was purchased by the Catholic Church and became home to nuns of the Holy Cross Convent. You can feel its 140 years of embedded history in the cloistered walls as you wander through the nun's museum, chapel and infirmary. 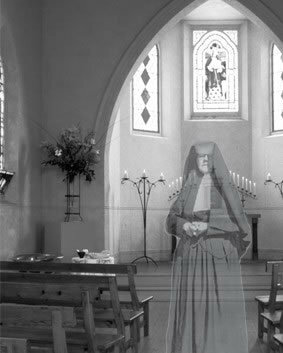 On this ghostly tour you walk in the footsteps of the silent nuns, who were forbidden to talk for long stretches of time. 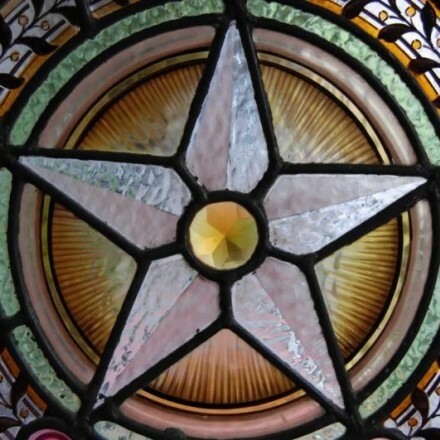 One can almost see them floating down the corridors, their black gowns sweeping along the dark passageways with prisms of light through the stained glass windows adorning their way. As the mists from below tendril up to the convent and the light fades, you begin your lamp lit journey into the shadowy recesses of this historic, hallowed place. As well as hearing some history you may hear other sounds better left unheard if you plan to sleep well that night. Some participants claim to have heard shuffling footsteps and subdued whispering. Imagine their horror at the sound of unexplained knocking and the sound of furniture being scraped across the wooden floor above them. Was it a trunk being dragged and why did it sound so heavy? Some believe that Mother Superior Mother John Byrne of the Presentation Sisters remains to keep a watchful eye over her old abode. 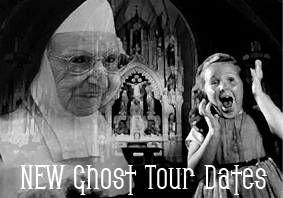 These tours are not just lead by guides but by the Spookspotters Paranormal Research Team of Paranormal Australia a group that looks for the truth behind alleged hauntings. As part of the experience, they play sound and voice recordings captured by mediums on previous visits. Quick, someone please. Hand me that glass of wine. That's new; I've never heard of a nun coming back as ghost before. Hardly the type I would have thought to go a haunting. I don't know what unfinished business they would have either.